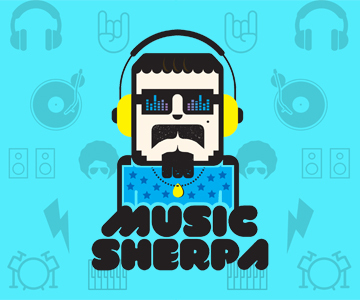 The Sherp recently had a chance to sit down with the man behind India’s electronic dance music revolution, Sunburn’s Shailendra Singh, and it was as explosive as we expected it to be! Shailendra Singh is many things – an author, a marketing whiz, and an extremely intuitive person who takes great pride in his work, and with good reason. His brainchild, Sunburn is one of the pioneering forces of electronic dance music in India. Its backforce has successfully brought down artists like Tiesto, Hardwell, Avicii, Martin Garrix and even most recently, Ed Sheeran! And with so much going on, it’s quite obvious to note that Shailendra Singh has much to say about the festival scene in the country! 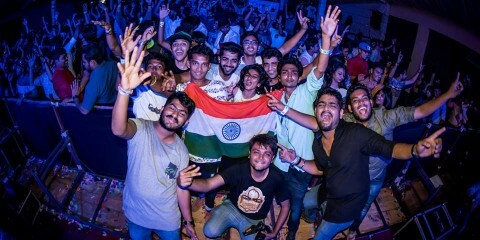 Sunburn has grown into this dominant force of the electronic dance scene in India. How has the journey been like? I think it was a dream that has stayed to be a dream, but in a dream, there are ups and downs. It was a beautiful dream, and it still is, I haven’t woken up from it. But in a dream you see horror, you see love and you see excitement. All of it. Anxiety, pain, pleasure. It’s a wholesome Bollywood movie, with everything in it. Would you want to make a Bollywood movie on it, though? It’s interesting you’re bringing this up. I have produced 74 bollywood movies with 18 National Awards under my belt. Page 3, Corporate, Malabar Weekly, all are my movies. I’m a serious filmmaker. I was ranked in the top 7 people in Bollywood by Filmfare in 2007. My dream was to put Sunburn in book and film. So, the movie was initiated initially with Anurag Kashyap, where Amit Trivedi was to work on the music. It didn’t look so sharp. The second time, Anurag passed the baton to Vikramaditya Motwane. He worked on the film again. We worked really hard for a year. Film got made, and couldn’t get released. Because by the time it were to release, we got into a dispute with Viacom. Viacom, Percept and Phantom were the co-producers of the movie. And now we’re in the court with Viacom, because they’re trying to cannibalise Sunburn, organising their festival in Goa on the same dates. The film is now stuck. Having said that, I never give up. The third attempt is on its way, and we’re doing it on our own. What will the format be like? I’ve made art house, commercial, documentary, social, all kinds of cinema. If the content is pleasurable, you consume it. I just hope it entertains the audience. Is there any particular reason you chose electronic dance music as opposed to any other genre? Because it has no lyrics. That’s all. I did Metalfest the same year but I canned it out. The simple reason is it has no lyrics. Electronic music is all about pure energy, and we have the youngest population in the world, so BOOM! Full power. Would you want to branch out into other genres? Yeah, we did Ed Sheeran, just now! Killer show. But will there be a proper rock festival? Yeah, we did Fly. We put together a brilliant line-up. But we lost a lot of money. But fans in India don’t buy the early bird tickets, they want to wait it out till the end. So, slowly we’re doing it. Sunburn is one of the many electronic dance music festivals from around the world. What do you think makes it truly unique? I think it’s the soul and the lifestyle. Festivals are all about the soul, and it comes down to the people who build it. Their personality reflects in the soul. That’s why 50% of my venue is just lifestyle, rock climbing, luscious sprinklers. Which is why my favourite festival is Snowbombing in Austria, it’s a great lifestyle. Which is why for me, Sunburn is the best festival in India. It promotes lifestyle, lets me be what I want to be. In the year 2012, Paul Van Dyk was closing the stage, and the rock climbing wall and the volleyball courts were packed! This is festival closing time. Day 3! You be who you want to be! Do you wish Sunburn a travelling festival like say, Tomorrowland? I think these happen for various reasons. I think economic success and faith of the fans allow you to grow geographically. This is a geographical factor. And for me this geographical and emotional growth is India. Europe and America are saturated markets. They’re coming here. And we want to go there! Without travelling we’ve become the number 3rd festival in the world! That’s great. Do you think if it were to travel, it’d be a great way for Indian DJs to show their calibre abroad? I had a meeting with all the Indian DJs two years ago, and I asked them, what is your dream? We are still a scared nation. We look to the west. The bigger the thought, the bigger the work. There is no difference in quality of work between their DJs and ours. It’s just the lack of self belief. So, this is your second association with A State of Trance. The last time was a resounding success. What do you think is the biggest factor that makes this association so impactful? I think trance originated from India. Its DNA belongs here. I think this is the capital of Trance, it ain’t Ibiza or New York. So, it’s a full circle. And Armin gets pure energy here. 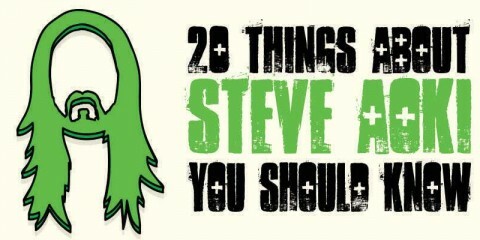 I think he said of his set in Goa in 2009, that that was the best set of his life. There is something nostalgic. There is a bonding that even Armin feels. There is a floating criticism that electronic dance scene threatens the pure music cultural space. What do you want to say about that? I think all genres have spaces. Popularity creates criticism. So journalists and critics start categorising genres, ‘cause some genres are not doing well. And the genre that is not doing well says it’s about music. And the one that is and is making money, is labelled as not about music. Season 9 is going to innovate. You will hear of interesting things happening. But each announcement has a maturity rate. So you will hear it very soon, taking us to the next level reinforcing us the market leader in today’s time. Tomorrow, I don’t know, but today, we occupy almost 90% of the market share!